Google’s cooking up a new skill: advanced recipe search. 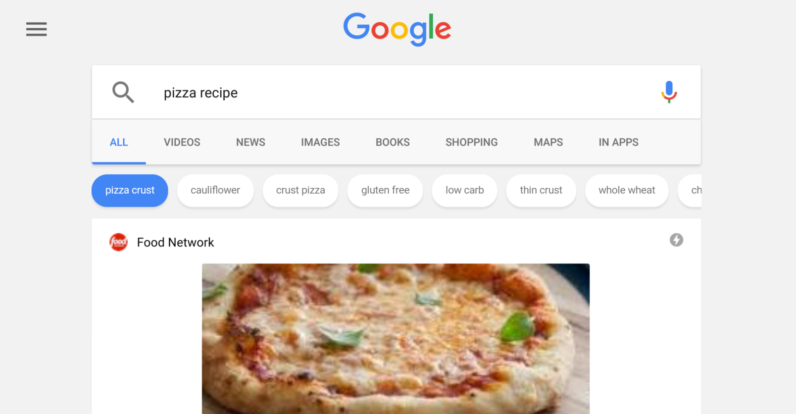 While the search engine already provided recipe suggestions in its regular search results, now it’s helping you narrow down your options with different options available in carousel at the top of your results. For example, if you want to learn how to make chicken wings, you might see options for ‘honey mustard,’ ‘crispy,’ or ‘slow cooker.’ A similar feature has been available within the image search category for some time. Besides helping you refine your search, the new carousel is meant to help you discover new recipes as well. Right now it only appears to be available on Google’s mobile apps, but it’s only a matter of time until it hits the desktop search as well.